POTTERY AVENUE'S large Polish Stoneware bowl with handles will be a featured piece in your collection and a welcomed gift. Dimensions: 13.4" x 12.2" x 4.9" 2.5Lt. or 10.5 Cups"
This large Polish Pottery bowl with handles will be a featured piece in your collection and a welcomed gift. 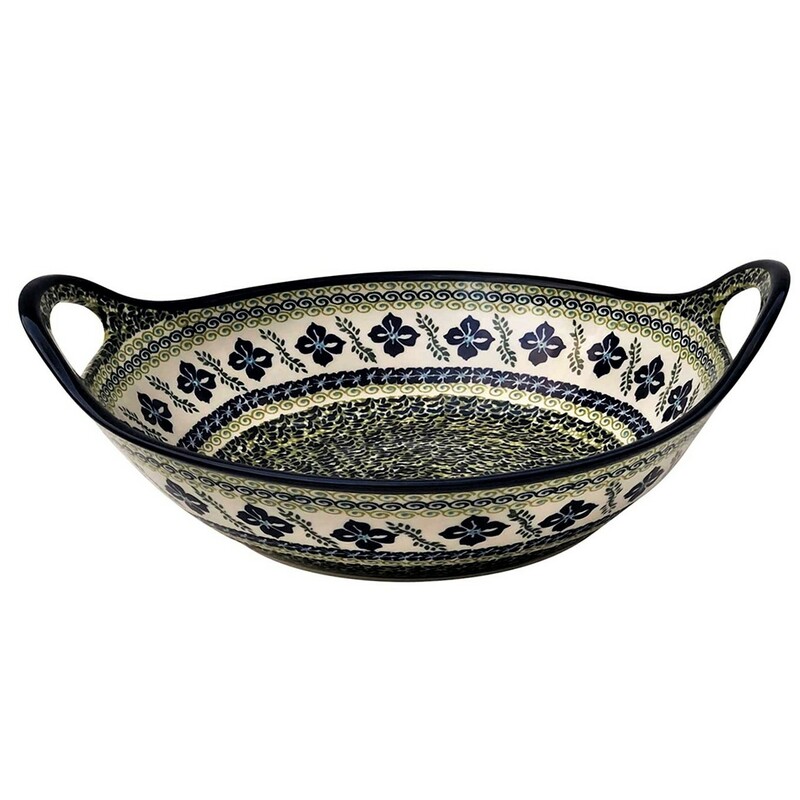 This is one of the most versatile pieces of Polish pottery available. It is beautifully decorated both inside and out and stunning on display. Fill it with fresh fruit or even popcorn balls. It is perfect for serving salad to a crowd or potato chips at the party. And, because it is Polish pottery and can go from oven to table, you can use it to bake a chicken, roast or for mac n cheese in addition to heating and serving anything . I promise you will love this bowl. Fit for any current or aspiring gourmet.